I enjoyed the Minnesota Opera’s production immensely, but Gounod’s Roméo et Juliette (Romeo and Juliet) is not one of my favorite operas. 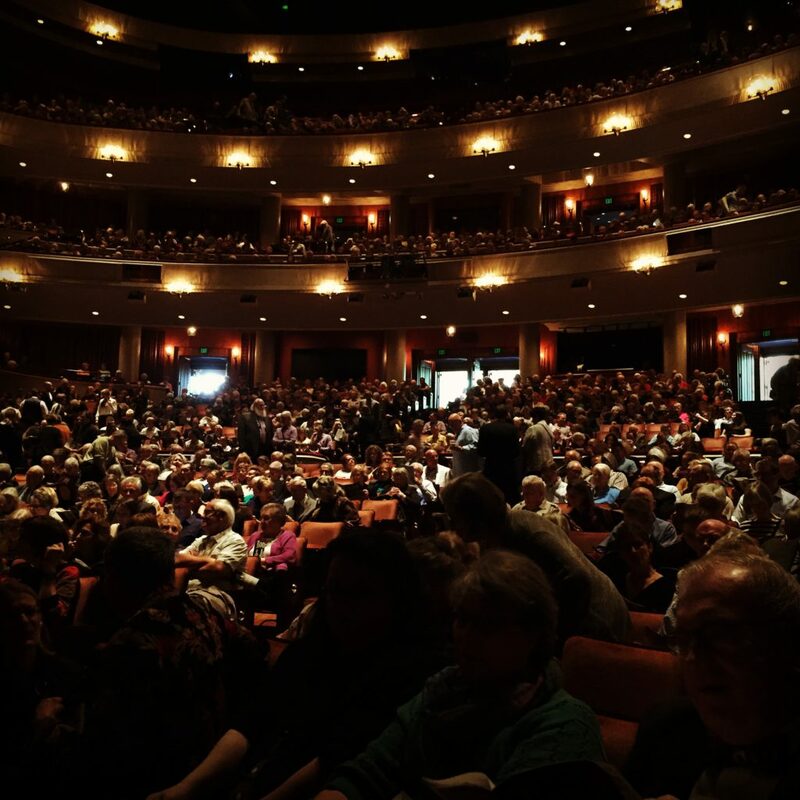 Sitting in the front row of the Ordway on Sunday afternoon, October 2, 2016, I watched both actors and maestro have their respective moments of glory, of which there were many. The opera tells the story of Shakespeare’s Romeo and Juliet with a few minor alterations: Act III, scene 2 of the opera begins with a character – Stéphano – absent from Shakespeare’s version; Juliet and Romeo see each other alive in the tomb scene at the end of the opera, while they do not in Shakespeare’s play; and in the opera, Juliet is forced into a marriage with Paris because it is Tybalt’s dying wish that it be so. The story itself is undoubtedly familiar to most of our readers if not all, so I shan’t waste any time going through it here. 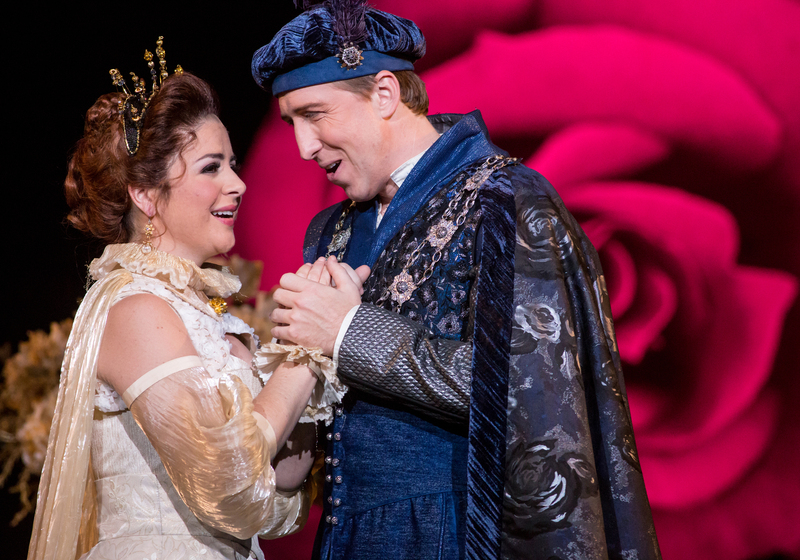 I will indeed remember the work primarily as a series of very pretty duets, of which there were more than enough between our leading lady and man. Even by the end of Act II of this five act work, I made a note to myself, scribbling “a lot of the same sounds.” For a man who had the opportunity to hear and watch the works of Verdi and Wagner first hand, Gounod clearly did not feel the need to “break new ground” musically with Romeo & Juliet. Furthermore, despite his distaste for bel canto as it was championed by Bellini and Donizetti, there were several moments at which I expected a “Casta divo” or “Il dolce suono”-esque aria to break out, and Gounod even included a mini mad scene at the end of Act IV. As far as the production itself, the cast and orchestra certainly deserved the plaudits of the elderly audience reigning down on the stage a little before 5:00 p.m. As far as the performers, while all deserve accolades, Phillip Addis’s Mercutio and Angela Mortellaro’s Juliette were top notch, the former combining a powerful, confident baritone sound with a true actor’s ability (which is regrettably far too rare in opera, I find), while the latter colored her sound and shaped her phrases beautifully, skillfully navigating each run the role demanded. I was particularly impressed with Mortellaro’s precise intonation in exacting passages. The true star of the opera in my book, however, was undeniably Maestro Michael Christie, who, like an elite athlete, exerted just enough energy to convey exactly what he wanted from his orchestra, one of the best in the business in my book. I often found myself enraptured by his precisely calculated yet beautifully expressive motions. Orchestra, singers, and audience responded just as he sought. Bravo, Maestro Christie! As with any performance, this production had some unfortunate mishaps – a cracked high note here, a noticeably unintentional ritardando there. All things considered, however, it was certainly an enriching afternoon musically, even if Gounod didn’t provide much to work with dramatically.